Of course, the millennial generation makes up a diverse group of people, each with their own criteria for what drives them. There are, however, a few qualities that they are proving to have in common. One of those qualities is a strong desire to develop, improve and grow within the workplace. If they feel uninspired, they aren’t afraid to switch jobs. Part of this growth is achieved by connecting with their managers, and knowing that they are seen as people, not just as employees. In fact, 62 percent of millennials who feel they can talk to their managers about issues unrelated to work plan to be at their positions for at least another year. Listening and providing honest feedback can help to nurture that professional relationship so that your millennial employees feel heard, and feel that they can set clear goals in terms of where to improve. With the many changes millennials are bringing to the workforce, the influx of remote positions is likely one of the most influential. Millennial employees are known for enjoying a healthy work-life balance, and expect to grow and achieve results without the need to sit in an office for eight hours every Monday through Friday. They don’t particularly share the view that it’s necessary to work from within an office or cubicle to reach professional goals, which is the style to which previous generations have grown accustomed. 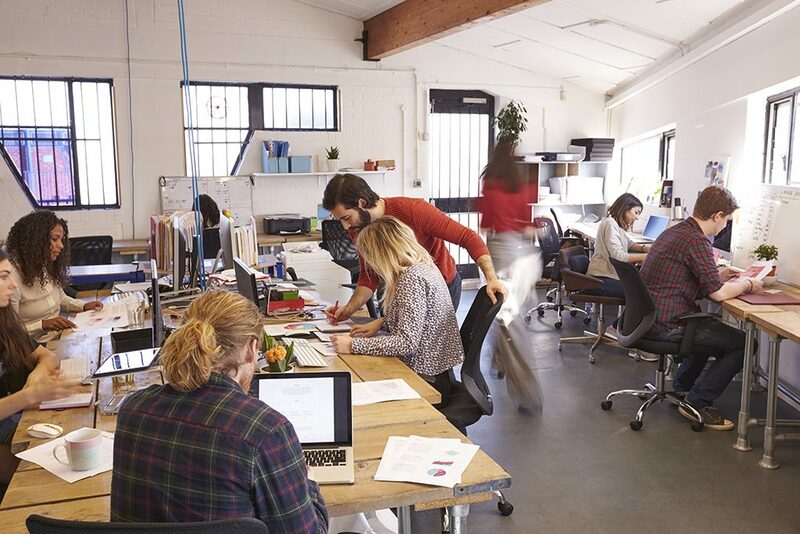 It may seem strange to many baby boomers or generation Xers that the same amount of productivity can be reached without too much facetime or long in-office work sessions, but millennials are showing that it can be done. Allowing a certain level of flexibility with work schedules (as long as the work is getting done) creates a healthier work-life balance, and it’s a great way to keep your millennials happy. That “it’s always been this way” mentality isn’t too inspiring for millennials. They are excited to bring new ideas to the table, and want to make a difference in their companies. Hear them out and open up to possible changes for the better. This will keep them happier in the workplace, as they’ll know that they’re contributing and proving to be an asset to you. This might be the most important key to helping your millennial employees feel fulfilled and satisfied in their workplace. Millennials are desirable employees. They seek to bring strong ideas to the table, to take on more responsibility and to learn and improve at every corner. Remember what they need to thrive in the workplace, and you’ll begin to more easily identify with them. You won’t be sorry!